EDF has set out plans to become Europe’s leading e-mobility energy company within four years, pledging to become the biggest charging network operator and lead on smart charging technologies. The 'Plan Mobilité Electrique' (Electric Mobility Plan) was launched yesterday by the French state-backed utility following its Plan Solaire (Solar Plan) in December 2017 and the 'Plan Stockage Electrique' (Electricity Storage Plan) in March 2018. It sets the energy giant on a course to become the sector’s leading company across France, the UK, Italy and Belgium, where it plans to become a market leader in three distinct and hotly contested areas. Working through its subsidiary Sodetrel, the EDF group plans to become the biggest charging public and private network operator, deploying 75,000 charging points and providing its customers in Europe with access to 250,000 interoperable terminals by 2022. Owing to a partnerships with around 50 networks across Europe, including ChargePoint Services in the UK, the Sodetrel Network already offers access to 50,000 charging points. EDF also plans to become Europe’s smart charging leader, aiming to operate 4,000 smart charging points by 2020. Finally, it aims to become the leading power supplier for EVs with 60,000 in mind, equating to 30% market share in the four core markets. To this end, in 2019 the group will present each of these markets with a fully integrated range of offerings including low carbon electricity, a charging solution for all its customers with access to a parking space, and services geared towards optimised charging and use of the vehicle’s battery. It will also be developing new charging solutions for all customers without access to a parking space, in particular through collaborative innovation initiated by EDF New Business and EDF R&D. 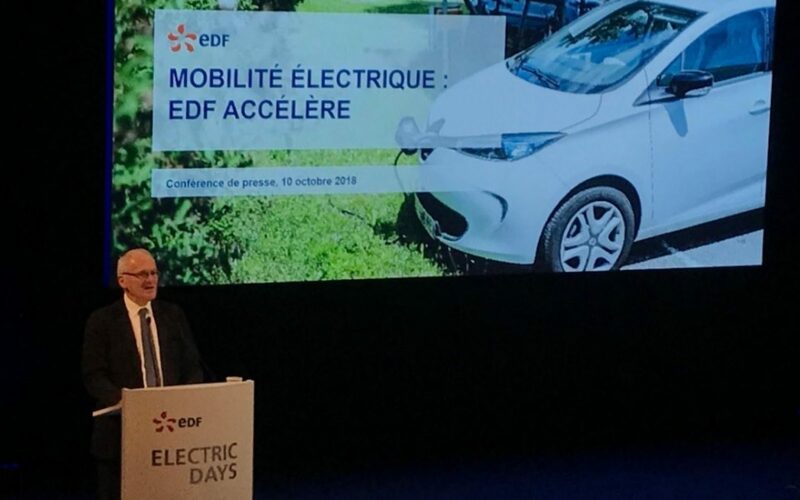 Outlining those goals, EDF chairman and chief executive Jean-Bernard Lévy said: "Already a standard-bearer and pioneer of electric mobility, the EDF Group is stepping up the pace with its Plan Mobilité Electrique. “Thanks to its low-carbon energy mix, EDF will substantially contribute to the fight against global warming by supporting municipalities, businesses and residential customers with the development of clean mobility everywhere and for everyone. “In order to achieve this goal, EDF is building an ecosystem of innovative players by forming strategic partnerships for the large-scale roll-out of the best technologies to support our customers." Among these is EDF Energy’s UK partnership with Nissan to test the use of second life batteries with its proprietary demand side response platform in the latest high profile collaboration in the UK energy sector. 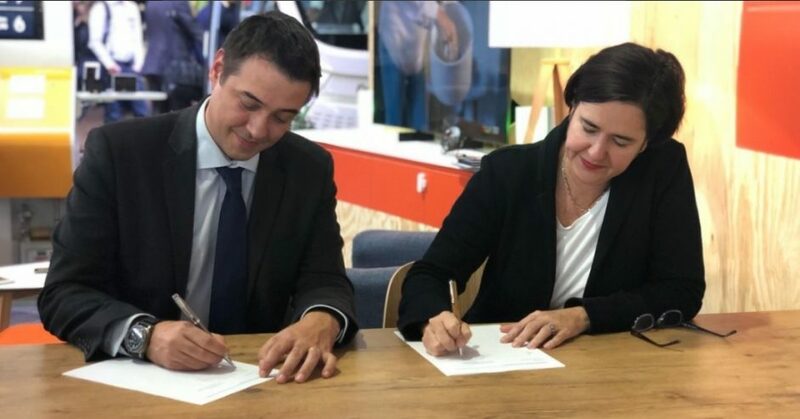 Beatrice Bigois, managing director for customers at EDF Energy, and Francisco Carranza, director of energy services for Nissan Europe, signed the agreement today in Paris. Image: Twitter/@edfenergycomms. 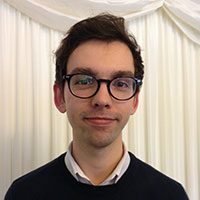 The system, under development with EDF Energy, would utilise the French firm’s Powershift platform to quickly release stored electricity into the grid under demand side response (DSR) initiatives in the UK. The combined system will also be trialled to see how it can support on site generation, greater control and flexibility over energy use, and provide additional revenue streams. EDF has previously stated its plans to become a leader in energy storage, announcing in March that it would invest €8 billion (~£7 billion) in deploying 10GW of new projects by 2035. The new agreement with Nissan also comes as EDF president Jean-Bernard Lévy detailed the group’s strategic plans on electric transport, which refer to the UK-based partnership with Nissan for “the development of shared offerings in the areas of electric mobility, smart charging, second-life battery use, energy storage and renewable energy sources.